Six years removed from 2013's Sunshine Boy: The Unheard Studio Sessions & Demos, late Texas songwriter Townes Van Zandt is set to be celebrated with a fifth posthumous release. 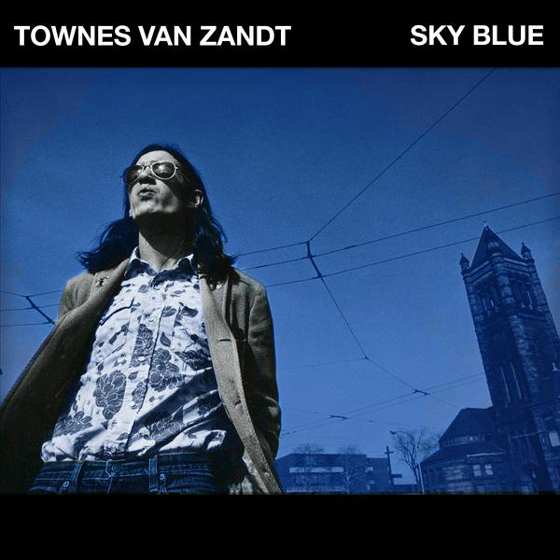 Titled Sky Blue, the 11-track set will arrive March 7 through TVZ/Fat Possum, on what would have been Van Zandt's 75th birthday. The collection of songs was recorded in 1973, at the Atlanta home of Bill Hedgepeth, a journalist/musician who was one of the singer-songwriter's closest friends. Ahead of Sky Blue's arrival, the previously unreleased "All I Need" has been shared. You can hear it in the player below. It is one of two previously unheard songs on the album, along with the effort's title track. Rough takes of Van Zandt classics "Pancho & Lefty" and "Rex's Blues" also appear in the tracklisting, in addition to covers of songs by Richard Dobson and Tom Paxton. You can read through the album's contents below. Van Zandt passed away in January 1997 at age 52.